Governance with monoliths are centralized. Decisions are made top-down, rigid control is maintained to ensure standards are in place across the organization and within the application stack. Over time, this model degenerates, creating a stagnant technological and architectural system, thus minimizing innovation. Microservices promote a polyglot model regarding technology stacks for supported languages, tools, and data stores. The main concept of these Microservices are the reusability of assets and tools which can be decentralized. The core theme of a decentralization governance is the concept of building and running it. This decentralized model is best suited for Microservices governances. Benefits of a decentralized governance gives Microservices teams the freedom to develop software components using different stacks. Strategic alignment of IT with Business: Derive the IT mission to align with the vision of the business. Reusability of services and quick-time-to production. Microservices Reference Architecture: An architecture guideline for service design and integration with enterprise usage systems, etc. Identifying, specifying, creating, and then deploying Microservices through DevOps methodology. Enterprise-wide service policies, common infrastructural services. Developing fine-grained services by composition and orchestration. Service monitoring and management: Management and monitoring of access policies, Quality of Service (QoS) metrics and KPIs to gauge throughput and performance. 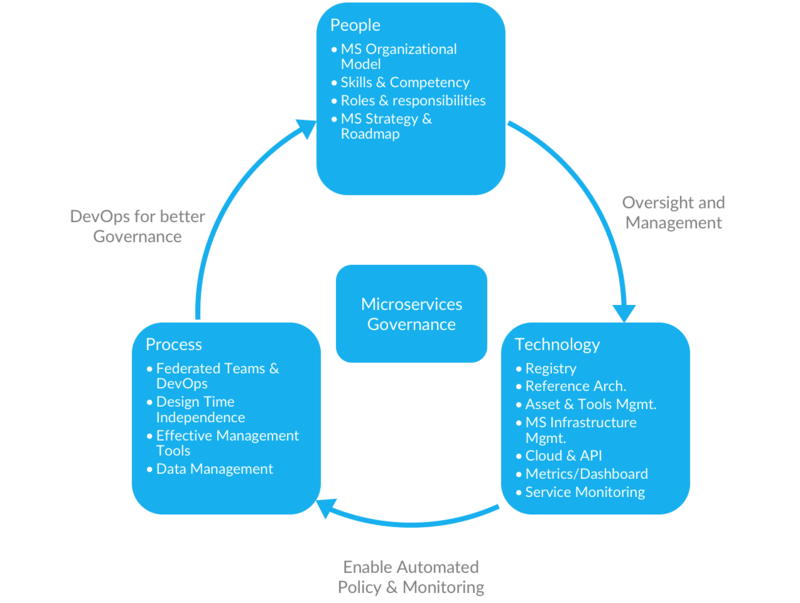 Governance plays a critical role in the success of Microservices initiatives. The failure to implement proper governance mechanisms can result in an unmanageable and unstable architecture; however, with the correct governances in place you can avoid the distributed mess of services while gaining the businesses support. A strong Microservices Governance foundation contains three elements: people, process, and technology. For a successful functioning governance, these three elements must align. It is crucial for every enterprise to define guiding principles. Once these principles are defined, they then need to be followed. Therefore, defining these principles takes place prior to establishing the foundation. Below are a handful of fundamental guiding principles for a successful Microservices governance. Independent Services: A Microservice is independent of all other services. Independence of services enables rapid service development & deployment. Requires both design & runtime independence of services. Single Responsibility: Focuses on one. Requires business function, decomposition into granular. Self-Containment: A Microservice is self-­contained, independent deployable unit. In order for a Microservice to be independent, it needs to include all necessary building blocks for its operation, contained within. Policies & Best practice guidelines: Compliance with Microservices Domain Reference Architectures, Governance Processes, and Roadmap. The Microservices architecture team is focused primarily on managing and monitoring the enterprise activities. Which includes designing the enterprise application based on Microservices technology. The team provides the right function to end users and the appropriate operational support for the new architecture. In enterprise-level Microservices adoption, the team structure and skills play a major role rather than the underlying technology. 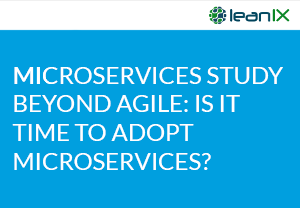 Flat organization structures, flexible teams, and cross-functional abilities are crucial to the success of Microservice adoption. Forming a capable, skilled team requires realigning staff around functionality rather than architecture. Establishing a DevOps practice before transitioning to Microservices is the best approach which helps in determining communication strategies in advance. Microservices teams consist of various members with different skill sets. The team consists of system analysts, UX/UI designers, backend and frontend developers, etc. who are responsible for their project (Microservice) from end to end – development, deployment, operations, monitoring, and management. The size of the team is determined by the size of the enterprise along with the project being developed. Experience shows the ideal size is 8-10 people per team. In Microservices architecture, the growth of the business will scale the Microservices team. Every team will have a collaborative platform to complete objectives for the project. 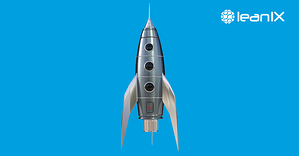 This ensures deadlines are met, leading to a more efficient and effective product launch. DevOps Strategy: Reducing the development to deployment cycle time is crucial. 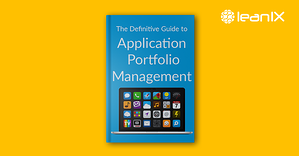 Rather than deploying one application, the team will deploy multiple services. Agile Environment: Services are developed by teams in increments; short phases allow the team to release frequently. This strategically positions the businesses progress. CI/CD should be followed, to increase the level of resilience. Data Strategy: A robust Master Data Management strategy is required to support the distribution of the data. Consumption of Core data of an enterprise, done by multiple Microservices which are stored in their local databases. Microservices is not a product, framework, or platform. It is a strategy for building large enterprise distributed systems. 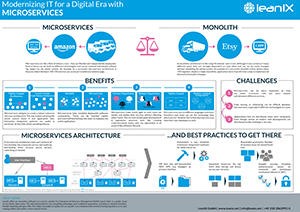 Microservices architecture benefits enterprises in multiple ways. Advantages include independent scalability of diverse application components to faster, easier software development and maintenance. Sizing of the Microservices is critical for the design of quality services. 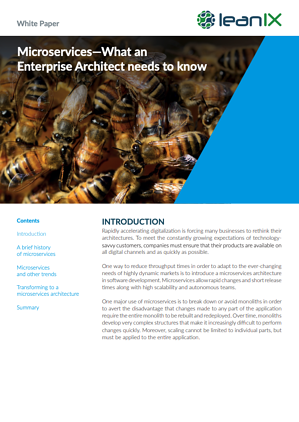 Microservices reduce vendor lock-in and eliminate long-term technology commitment. Overall, helping decision makers choose the tools needed to meet IT and business goals. Provides ready-to-use blueprints for building Microservices based systems, speeding – and improving – development. Create a platform for testing new features, whether developed internally or externally. Helps understand partner systems and components to enterprises to gain a holistic perspective on the Microservices ecosystem. As the enterprise grows, tracking the number of Microservices can be a challenge due to their continuous deployment. To solve this challenge the usage of dynamic registries will help by tracking the deployed services. 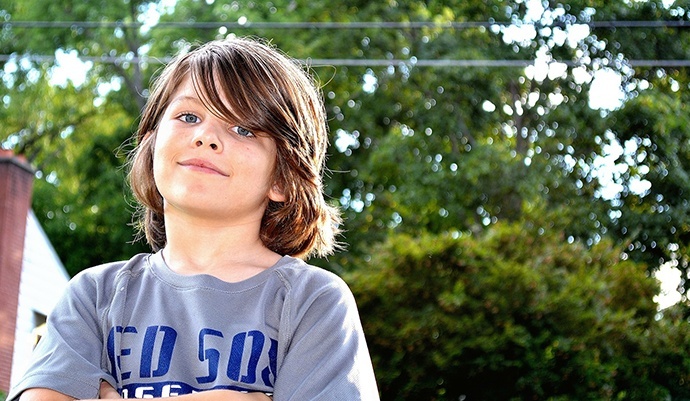 These registries provide consumers lookup addresses to easily monitor services. Service discovery tools, e.g., Kubernetes. Packaging standards for containerizing applications, g., Docker, and orchestration tools for replicating containers at scale, e.g., Kubernetes. OpenShift by Red Hat includes both of these proven open source technologies. CI environment creation tools, g., Jenkins or Shippable for Docker and Kubernetes. Dependency resolution tools, e.g., Nexus. Failover and resiliency tools, including libraries such as Hystrix and Ribbon. Service monitoring, alert, and event tools, e.g., ELK (ElasticSearch, LogStash, and Kibana) stack. API is used to establish the interaction between the Microservices, which helps the application to work properly. In addition, the version control mechanism establishes the services interface between new and old services. Infrastructure management monitors storage, CPU consumption, memory consumption, and hardware network characteristics for deployed services. Infrastructure resources are monitored by Nagois, which raises alerts whenever service levels are breached. If a service is deployed on an IAAS or PAAS platform then the respective cloud or platform management tools are used. Service monitoring happens when the application service deploys for uptime and monitors the health. Services can report their health by Pull mechanism via JMX, or exposing an HTTP URL where the agents can collect the statistics, using Spring Actuator Push mechanism. In Microservices environments developers continuously add and remove functionalities. These changes can consist of a change to the code or replacing core elements of the application. 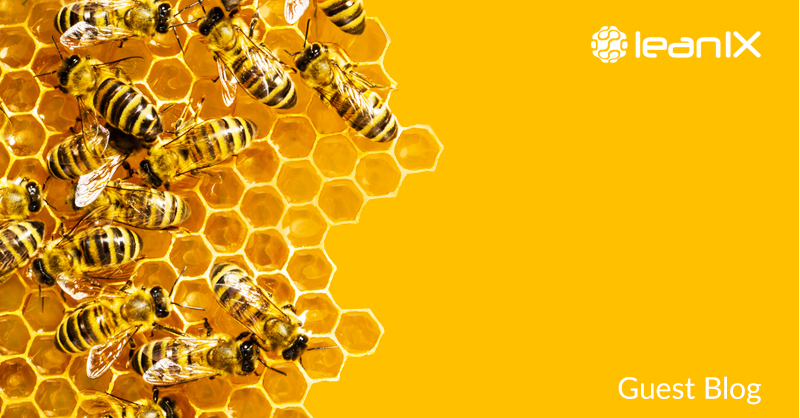 While these changes take place, Microservices constantly evolve. An application is broken down to multiple interdependent services. Large, siloed teams are broken into small, multifunctional teams. Which coincides with the progression from development, testing and IT that are transforming into smaller DevOps teams. It is efficient to have the team who built the Microservice own its implementation and maintenance. This benefits the current functioning and future evolution of the service. Defining and controlling the service creations, design, and implementation of service policies. SLAs, throttling, monitoring, common security requirements and service discovery are not covered at each Microservice level. API Gateway helps to realize Runtime governance at a dedicated component level. Unlike SOA, Microservices do not share data. Each Microservice has a separate physical data store and polyglot persistence which allows a variety of database engines to run under each Microservice. However, maintaining multiple copies of an enterprise database can increase licensing costs and complexity. Generic extract, transform, and load (ETL) or data virtualization tools can help with data normalization, event sourcing is a well-known design pattern that helps align data stores to adjust to retroactive changes. In summary, Microservices adopt decentralized governance, these standards enable the team to efficiently build and deploy the code that have been created according to individual governance plans. The goal of decentralized governance is to free dev teams, allowing them to allocate time to solving development problems effectively within a timely manner. It is important to develop a DevOps mindset within the enterprise. This mindset empowers developers to control how their governed components are built and operated. “Microservices Practitioners Guide” by Gopala Krishna Behara and Tirumala Khandrika. The author would like to thank Hari Kishan Burle, Raju Alluri of SCA Practice of Wipro Technologies for giving the required time and support in many ways in bringing up the article as part of SCA Practice efforts.